The holidays are an eventful time, what with all the drinking and cavorting one is wont to do. I’m no different. My holiday season is often spent commuting via plane (notorious for rendering one sick), lots of Prosecco (it’s no holiday without bubbles, wouldn’t you agree?) and of course late nights and heavy food. I’ve never been one to hold back because life is lived once and once only. But getting sick post holiday, pre flight or any damn day of the week is, frankly, not how I live my best life- I’m sure you would agree. So what’s a social butterfly with a love of indulgence to do? Flex her balance muscle. 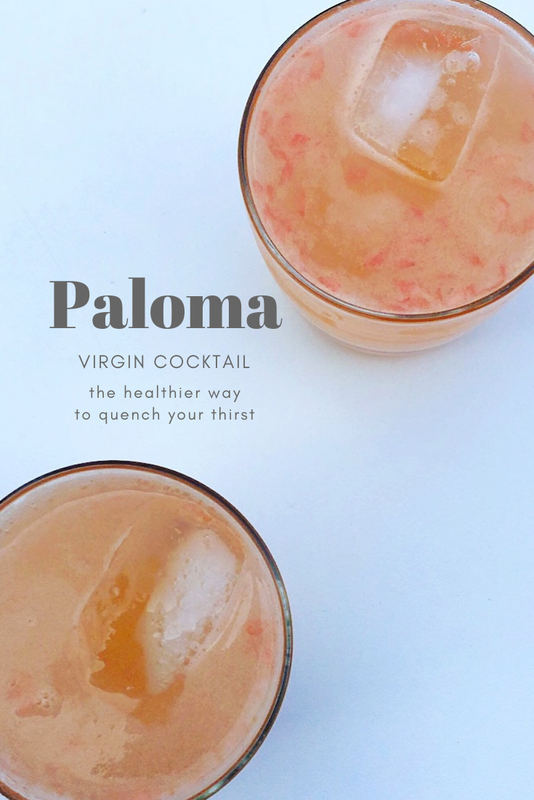 I’m a firm believer that life is JUST as fun with booze, as it is without – I’m a 24/7 good time 😉 And what’s more fun than a Paloma cocktail; and I’ll let you in on a little secret, the Paloma cocktail is low-key good for you- if you omit the booze that is. 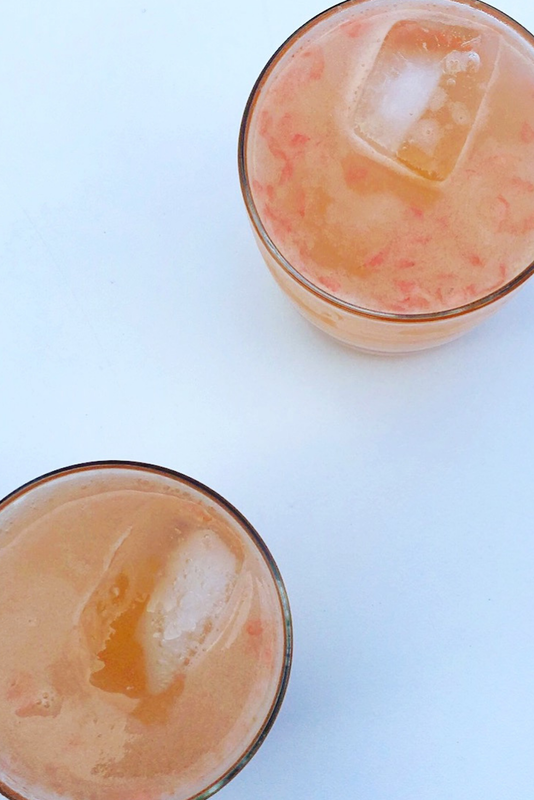 But even without the booze, a Paloma is always, like me, a great time! I’m a citrus lover but using citrus in beverage recipes requires a few things, but the most important consideration of all is balance. Balance tart citrus with either a sweeter fruit juice or a nice honey like I did. CITRUS JUICING NOTE: if your limes, lemons or grapefruits don’t feel juicy, pop them into the microwave for 15 seconds, and give ‘em a squeeze. Then proceed to juicing. I can almost guarantee you will find that there was juice in there after all! I added oregano oil because it’s good for my immunity- and I’m not out here trying to get sick; but also because it taste interesting and rather nice. That said, if you just KNOW you wouldn’t like it, leave the oil of oregano out. It should also be noted, that this is an EXCELLENT CURE for a hangover – a holiday hangover, a birthday hangover or a simple Saturday hangover, this is the cure. Whenever you drink this it will be damn tasty, and whenever something is both delicious and healthy, I am all the way here for it. Combine all ingredients and pour over ice. Enjoy! Sounds delish! So refreshing. Thanks for the tips on the citrus ripening too.